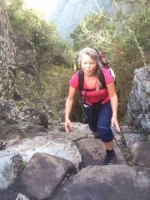 My journey along the Inca Trail to Machu Picchu was an experience of a lifetime. 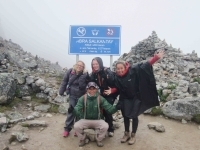 The guides were friendly, extremely knowledgeable, and very motivational. They led our team in a spirit of camaraderie and created a very positive atmosphere. 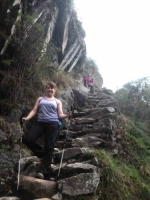 I officially conquered Inca Trail without passing out ! Amazing experience ! Highly recommend this adventure. The food was outstanding and very accommodating for people with special food needs. The service was amazing they were always looking out for us even if we were completely exhausted and thought we couldn't keep walking they were still there for us. I loved the whole experience: the challenging steep climbing, the kindest guides in this hemisphere, the food and - most of all - the landscape. 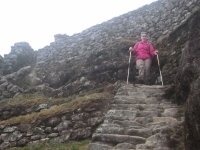 The whole experience of the Inca Trail is something I dreamt of for a long time and now the dream has come true. 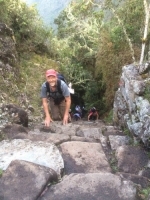 Thanks to our amazing support team we had the most incredible hiking trip along the Inca Trail. What made the experience so special wasn't only the scenery and the wildlife but combined with the knowledge of the guides, it made it an unforgettable experience. This was one of the best adventures in my life and so so beautiful. Nothing makes me feel as much in harmony as nature. I loved that for the most part I could walk in my own pace and just enjoy everything the way I like it. The food and the views were amazing. If you're up for a challenge you're looking in the right place ! 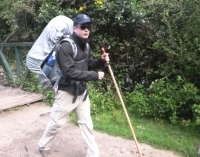 I've done a few 1 day hike and thought I would take it to the next level. 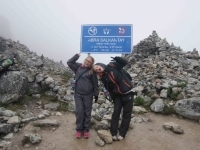 The Inca Trail was my first choice but with no more spaces, I went for the next best option, the Salkantay Trek. I really never thought that the Andes would be this beautiful ! The scenery was amazing. 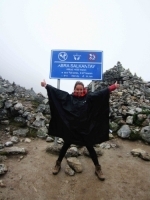 Some parts were really difficult and even though I was really slow from time to time I am very proud that I made it. 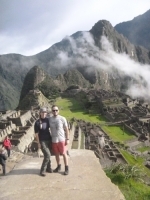 The best is yet to come though... Machu Picchu. 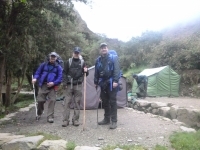 Great adventure - great guides - strong porters - fantastic food prepared by the chefs and great fellow travelers. 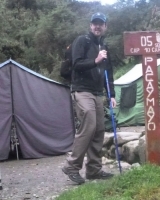 A fantastic base for this great 4 day adventure. 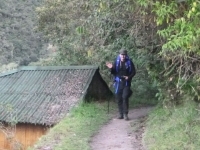 We were spoiled all the way by the porters: Lunch and dinner ready when we reached our camps, early morning tea - delicious ! Snacks and tea-parties. I hope that everyone can have as amazing an experience as we had ! Our guide, Paul, was so knowledgeable and passionate about the details that he shared with us. This trip was a transcending experience ! 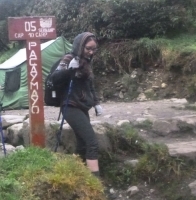 The amazing hiking terrain accompanied by the moving insights was an unbelievable experience that I will never forget.